Charleston Charm from an owner who has continued to update and maintain this popular home. 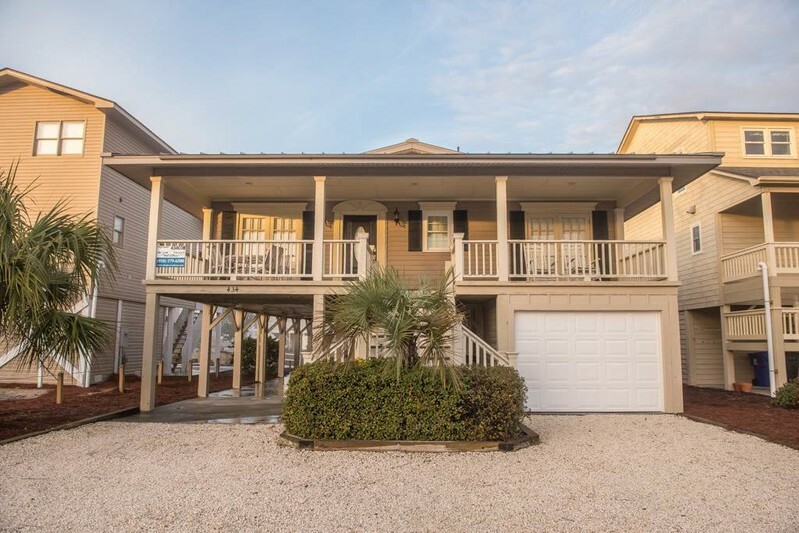 Beach cottage is located on canal with a private boat dock and just one block from the ocean and beach access. This 4 BR / 2 BA house sleeps 8 with one queen bed in every room. Cable TV/DVD, Wi-Fi, oversized furniture in living room and a dining table for six people are some of the features. The covered porches on the front and back of home add outdoor living space. There's a fish sink and cleaning station, enclosed outside shower. This home has evrything you need to enjoy this special Island. The Kindred Spirit is a relaxing walk on the west end. All linens and towels provided. Beds are made. Pets and smoking are not permitted.